Wolfgang Amadeus Mozart (1756 – 1791) was a prolific and highly influential Austrian composer of Classical music. His enormous output of more than six hundred compositions includes works that are widely acknowledged as pinnacles of symphonic, chamber, piano, operatic, and choral music. 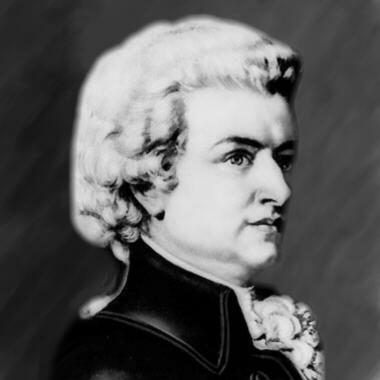 Mozart is among the most enduringly popular of European composers, and many of his works are part of the standard concert repertoire.